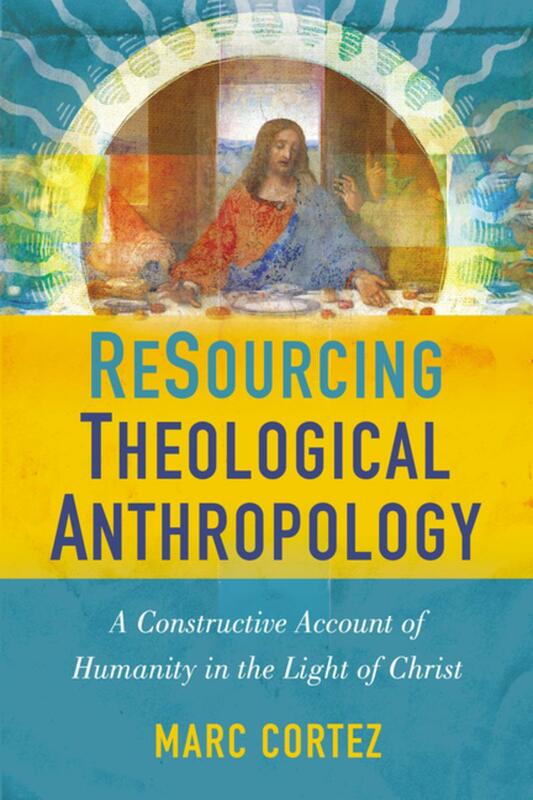 How welcome, then, is Marc Cortez’s recent book, ReSourcing Theological Anthropology: A Constructive Account of Humanity in the Light of Christ. A theology professor at Wheaton College, Cortez is a gifted thinker and a fluent writer, adept at drawing the reader into terrifically dense discussions on high-level matters. Through it all, Cortez shows fairness, a penchant for pithy summary, dashes of humor, and an unwillingness to be pinned to any particular theological camp. Zondervan (2018). 304 pp. $29.99. ReSourcing Theological Anthropology shows why theological anthropology must begin with Christology and offers a constructive theological proposal that explores relevant biblical texts, theological issues, methodology, and case studies on particular anthropological issues including gender and sexuality, race and ethnicity, and death and suffering. The lodestar of Cortez’s project in ReSourcing Theological Anthropology is summed up in a comment he drops while discussing nature and grace: “everything we think we know about humanity must be reinterpreted in light of the supernatural telos we see in Jesus” (66). There is ebb and flow to this argument as Cortez makes clear, places where the human Christ’s abilities and experience apply more or less directly to our own, but we can’t miss the bold and biblical nature of this claim. To state in 2018 that humanity in some way is inherently and inescapably Christotelic or Christological is revolutionary indeed. Whether one agrees with all facets of Cortez’s presentation or not, his contention is right: you can’t understand humanity without knowing Christ. “In Jesus,” he avers, “we see not just the renewal of creation but also its consummation” (67). We don’t look to the New Testament, then, only to observe the teachings of Jesus to emulate them. We look to the New Testament to see how Christ remakes all things, and pre-eminently to see where our humanity is headed. We must see ourselves as grafted into the story of Christ, headed where Christ now is, able to glorify our Savior by union with him. You can’t understand humanity without knowing Christ. Did Jesus Experience Internal Temptation? This discussion is linked to understanding exactly what nature Christ assumed in his incarnation. Cortez argues that Jesus assumed a fallen nature and experienced both external and also internal temptation. In other words, Jesus was tempted by Satan—externally—as in Matthew 4, and Jesus also experienced tempting desire from within. If this wasn’t so, Cortez argues, we couldn’t say that Christ entered into the fullness of the human condition, and thus his priestly work is unhelpfully limited. Let it be clear that this is a tricky area of consideration; theologians who agree about much may hold different perspectives here. But I personally would argue that the “true humanness” of Christ means that we see him first in terms of his divine sonship. He’s the God-man. He’s not a man who is also God. He’s God in human form. Without launching into a lengthy section, I’d argue that the New Testament puts stress on his righteous nature, his holy and unblemished identity. He is the God-man, albeit the God-man who obeys the Father in the power of the Spirit. As Bruce Ware has persuasively argued, the Spirit empowers and ministers to Jesus throughout his life and ministry. We must see ourselves as grafted into the story of Christ, headed where Christ now is, able to glorify our Savior by union with him. Jesus experiences the full range of human suffering and trial in his earthly life. But he does so as the “true human.” He thus doesn’t have what 2 Peter 1:4 calls “evil desire” emerge from the depths of his heart and mind, as we all do. He has no evil desires. He’s tempted in all things as we are, yet without sin. James 1:13–15 makes clear (in conjunction with Matthew 5:21–30) that desire isn’t neutral. If it’s directed toward a righteous end, it’s righteous; if it’s directed toward an evil end, it’s evil. In other words, it’s wrong to look lustfully at a God-made man or woman (outside the covenant of one-man, one-woman marriage) for one second. The Christ who enters into our humanity in totality is the same Christ who perfectly—a strong and needed word—obeys the Father in the Spirit’s power, mapping out the way to God that every true believer travels. Cortez’s book helpfully engages several hot-button issues. His treatment of race is careful and sound, resisting a cordoned-off Christ while doing justice to his Jewishness. We come away thankful for God-given diversity while rejoicing in the centrality and accessibility of Christ for all peoples. How we need Christocentric, gospel-created unity in our day, particularly when we must rightly reckon with the many ways the church itself has obscured and even denied such unity. Cortez’s treatment of gender essentialism seems less sure-footed. He contends that “gender essentialism is not [his italics] required for maintaining either a traditional sexual ethic or a complementarian view of church governance” (209). It’s true we hold to God’s decrees due to their theistic character, as Cortez avows, but I’m surprised that a theologian from a flagship evangelical college backs away from gender essentialism in this way. On this point, Cortez argues that we should “question the extent to which we should emphasize maleness and femaleness as distinct realities that differ essentially as a consequence of underlying biological processes” (210). Instead, we should focus on our common human nature while simultaneously recognizing the “interdependence of human differences.” This section requires careful parsing given its sophisticated verbiage; at base, though, I know of no complementarian theologian who would deny the common nature of all human people. But even as we link the sexes as made by God in the imago dei (which I see like Cortez not as a particular trait or ability, but a matter of essence leading into function), we can’t back away from man and woman as the special creation of the super-intelligence of God. After all, the imaging of the gospel of grace depends on covenantal marriage, one man marrying one woman for life, and living with her in a vivid and joyful display of headship and submission. The picture of wedded love given us in Ephesians 5:22–33 represents the Bible’s glorious unearthing of the whole telos of marriage and unfolds for us the Christ-church relationship in unprecedented fashion. In sum, let us thus celebrate our unity as God-made persons. We have the true ground for unity. But let us never miss the beauty of God-made diversity, the man and the woman who are made by God, given different roles, and created with distinct physiques and personal traits. It’s God who made the “biology,” to use Cortez’s phrase, biology unique to a man and biology unique to a woman. It’s God who desires for his gospel to create men and women for his glory, imaging that glory in ways that overlap significantly but must never be collapsed into sameness. There is so much more to probe and ponder in ReSourcing Theological Anthropology. I learned and profited from the work of Marc Cortez, and many readers will likewise. It’s precisely because Cortez has intellectual horsepower and biblical curiosity that readers of all kinds will engage and spar with his text. At base, we may profit greatly from this creative and constructive account to understand the human person afresh, in light of the person and work of Jesus Christ. Although this project sounds strange and exotic in the 21st century, in truth it’s ancient. The idea that humanity must be understood in light of the God-man shocked the pagan Greeks and Romans two millennia ago. The miracle of Christ the God-man is no less controversial today. Of this Christ, and of the anthropological rescue he occasioned, we’ll sing into all the ages of eternity and beyond, full of wonder, full of gratitude, our patchwork humanity made right and true by the true human. What Does It Mean to Be a Dual Citizen?